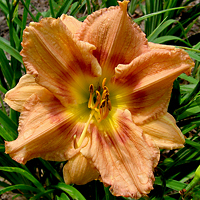 Daylilies of North Carolina is the hybriding garden of Bobby Baxter that is at the forefront of the advanced development of polymerous daylilies. Located in Wake Forest, NC. 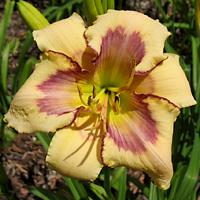 H. 'Secret Agent Babe' is nearly 100% polymerous with 7½" blooms. 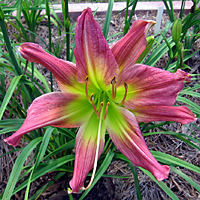 In the picture above the blooms are 9 inches!! Imagine how big that beast is that is hovering over all the "babes!" 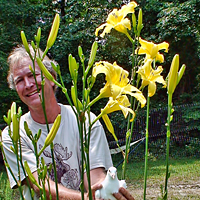 Big just keeps getting bigger at Daylilies of North Carolina where size matters, too! 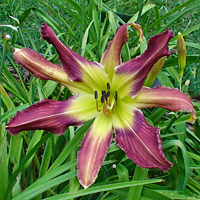 Daylilies of North Carolina is the leading hybridizing garden on the planet for the advanced development of the polymerous form of Hemerocallis. 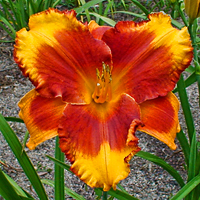 We continue to march forward with unequaled diversity of size, color, form, substance, rebloom, and all desired characteristics of polymerous daylilies!! 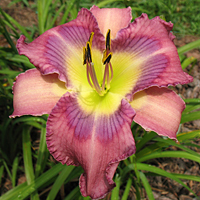 In addition to leading the Polymerous Revolution, our tetraploid breeding continues reaching new heights with incredible clarity of color, vibrance, and form. 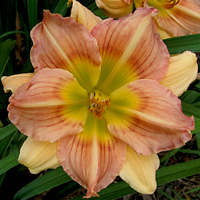 We are proud of our daylilies and strive to create flowers worthy of your garden. 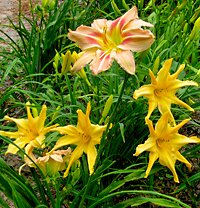 Why multiple images of our flowers? 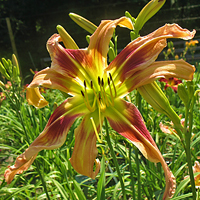 At Daylilies of North Carolina we are endeavoring to show multiple pictures of each flower on "individual cultivar pages." 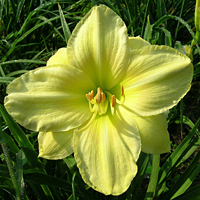 The picture above shows the cultivar page for H. 'Redefining Genetics' with 18 different images so that you can see the flower under different lighting, blooming, and environmental conditions. 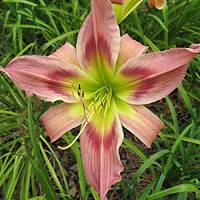 We do not want to post one "cover girl" picture that can misrepresent our flowers. 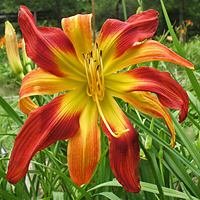 This website is a continuous work in progress and we started the individual cultivar pages with our own introductions. 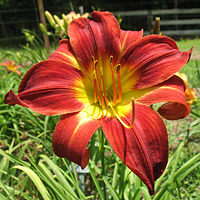 Please be patient as we continue the process by adding galleries of all the flowers growing at Daylilies of North Carolina. Orders are now being accepted for shipping at the beginning of May, 2015. 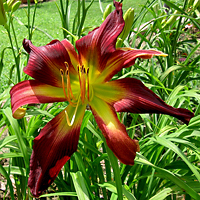 Shipping costs are $8.00 for the first plant plus $3.00 for each additional plant. Currently shipping to U.S. addresses only. I am very proud to make my 2014 introductions available for purchase and shipping at this time. 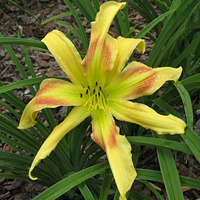 I have five new diploid polymerous daylilies. 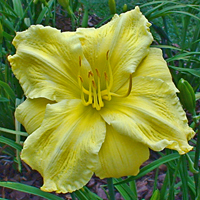 With these new offerings, I am pleased to say that I now have a total of 30 polymerous daylily introductions. 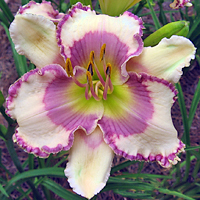 I am also offering four beautiful new tetraploids. 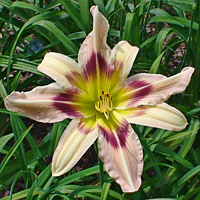 Click on the images below to view the specific cultivar page with description and many pictures of each flower. 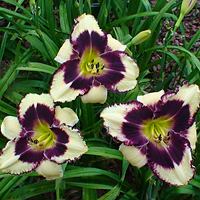 This bottom row of polymerous daylilies (Alien Skin, Run Time Error, and X-tra Baggage) were originally to be 2006 registrations. However, the AHS Registrar at that time omitted them from the final compilation of 2006 published registrations. I wish to thank the current AHS Registrar, Kevin Walek, for his assistance in getting this situation resolved so that they can be recorded as proper registrations for 2013. Orders are now being accepted for my 2014 introductions with shipping now taking place. 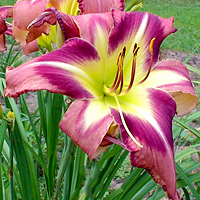 Shipping costs are $8.00 for the first plant plus $3.00 for each additional plant. Currently shipping to U.S. addresses only. 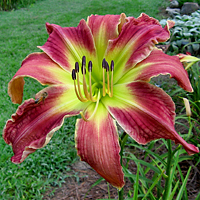 PayPal accepted, please use the payment button below or PayPal payment to bobby@daylily.net. Checks are also accepted, please make payable to Bobby Baxter, 1620 Wait Avenue, Wake Forest, NC 27587. 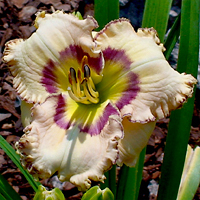 © Copyright 2015 Daylilies of North Carolina. All Rights Reserved. Website by Baxter Design Services.